Discussion in 'Ask FC' started by Rollingstoned, Oct 31, 2018. Denis69, JCat, seaofgreens and 3 others like this. money2, JCat, Shannock and 9 others like this. JCat, ataxian, habitat-fc and 5 others like this. money2, JCat, lazylathe and 8 others like this. Pale Blue Dot is the farthest photograph of planet Earth ever taken. It was taken on February 14, 1990, by the Voyager 1 space probe from a record distance of about 6 billion kilometers. Voyager 1, which had completed its primary mission and was leaving the Solar System, was commanded by NASA to turn its camera around and take one last photograph of Earth across a great expanse of space, at the request of astronomer and author Carl Sagan. The Beagle, JCat, lazylathe and 11 others like this. The Farthest is an awesome documentary. JCat, ataxian and Ramahs like this. Ataxian is one of the coolest guys here on FC,he is a true role model for me . He speaks a Higher form of language which i find very pleasant and amusing probably due to my heavy psychedelic experiences..I feel he is actually a wise alien and the pale blue dot was the Earth viewed from his porch. He is a Civilization expert and travels between habitable worlds to evaluate the current state of things,therefore when he sees something done the right way,he says it is civilizied. beyond6strings, Madri-Gal, Phenix and 15 others like this. KidFated. We Don't Even Live Here..
justcametomind, beyond6strings, Madri-Gal and 9 others like this. justcametomind, JCat, ataxian and 8 others like this. JCat, lazylathe, ataxian and 6 others like this. He's THE ONE. He's the most special snowflake that we have. General consensus is that we love him, just don't let him near your glass. He has a wonderful wife who takes care of his VAS, he sits at the pool all day long and his Solo will never die. He's the guardian of civilization and even developed his own formula to calculate the intensity of a buzz, based on the eNano dial position and some magic skills. beyond6strings, banana_republic, bossman and 12 others like this. hans solo, JCat, ataxian and 6 others like this. bossman, JCat, ataxian and 7 others like this. scalescliffs, JCat, lazylathe and 9 others like this. Skunkport, OyVape, JCat and 11 others like this. He is a beloved long time member of the FC family. I love his back yard with the beautiful swimming pool. Anybody for a pool party at @ataxian s house? WeedyGirl1979, banana_republic, Southern Chef and 11 others like this. @Rollingstoned Does that clear things up? JCat, Alexis, SloJimFizz and 2 others like this. The “PALE BLUE DOT” is da planet we all live on! Carl Sagan is my hero. CANNABIS 2 me is softer than MILK? BLANK SLATE is how most of us started? WeedyGirl1979, looney2nz, beyond6strings and 25 others like this. 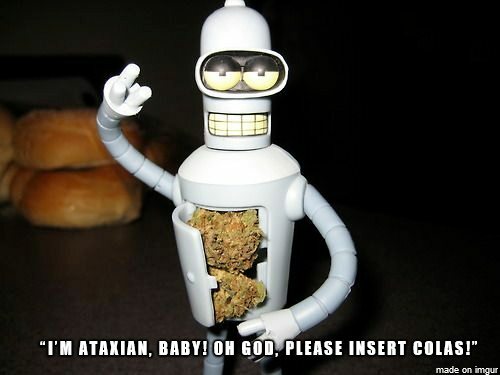 Plainly and simply, @ataxian ...is my bro! Really good that you made it back to us bro. Haha, to think you were depriving yourself and all of us when all you needed was to change the settings on your new tablet. A very good thing that you figured it out before too long past. I was missing you here like everybody else no doubt (I still miss your enticing photos though ). beyond6strings, JCat, ataxian and 3 others like this. @Alexis I am so STONED like Dillion. Going 2 FRANCE after winter. If their is a decent speaker I will go to OXFORD in ENGLAND sometime beginning of MAY? beyond6strings, Baron23, Andreaerdna and 5 others like this. So I wanna hear some fine details please sir when the time comes. I can live with no pictures no sweat, we have you back is what counts. And a few holiday tales would be a sweet bonus. beyond6strings, ataxian, JCat and 1 other person like this. I have known him on the forum since I started here and he has always been a constant. Great guy to chat to in PM. My wife however, lets me vape inside! Great to have you back buddy! Hope the IOS experience is slowly getting easier!! Madri-Gal, almost there, Mr. Gweilo 420 and 5 others like this. @lazylathe remember the seeds you sent me? I grew some but not all! I don’t know Greenhouse growing? One of da seeds tasted so decent (should’ve cloned it?). Fruity! JCat, Alexis and lazylathe like this. Don't remember the DVD though...LOL! One of my new favorites is Romulan! Strong cerebral effects with some serious pain blocking and sedation. Whisper, beyond6strings, JCat and 2 others like this. That’s a decent strain 4-sur. (Had it & liked it! beyond6strings and JCat like this.